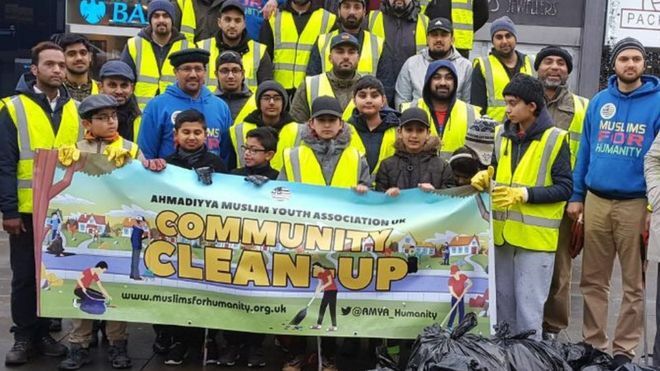 Fifty Muslim volunteers have been cleaning Huddersfield’s streets as part of a New Year’s Day operation. Those taking part included children and elderly members of the town’s Ahmadiyya Muslim Association (AMA) and Muslims for Humanity. Fatihul Haq, president of Huddersfield’s AMA, said it wanted to help make the town an “even better place to live in”. Kirklees Council provided the litter-picking equipment. The AMA and Muslims for Humanity took part in several other initiatives over Christmas throughout the UK, including taking gifts to children in hospital and people in care homes, and providing a free taxi service for the elderly. Read original article on BBC website. 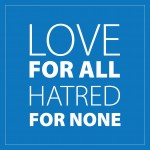 If you would like to visit a mosque or find out more about Islam and the Ahmadiyya Muslim community please email us.